UK – Rapper Professor Green hit the road in November and December to promote his latest album, Growing Up In Public, culminating in a sold-out show at the London Roundhouse. 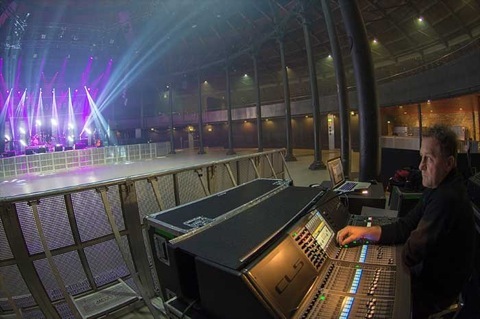 A Yamaha CL5 digital mixing system helped front of house engineer Neal Allen to make Waves with the mix. “As this was primarily an Academy tour, which all have in-house consoles. I wanted a desk with footprint that would cause the least problems, whilst maintaining the sound and functions I was after,” says Neal. “I had used a CL5 with Professor Green on the Music Cube shows we recently did at London’s Westfield shopping centres and really liked the sound, especially when using the Premium Rack compressors. 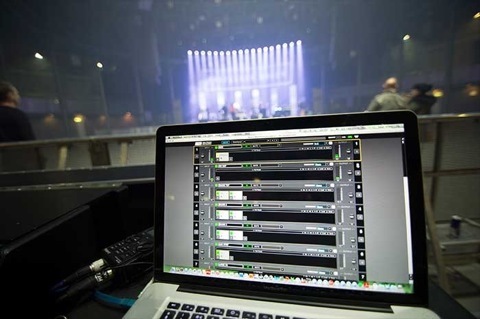 The solution was the WSG-Y16 Waves SoundGrid i/o card, which interfaces with the Waves SoundGrid DSP Server, allowing users to seamlessly run Waves plug-ins with Yamaha digital consoles. In Neal’s case they include the MV2 and PuigChild 660 compressors, C4 multiband compressor, inPhase phase correction and H-EQ hybrid equaliser. Critically, the system ensures that the external processing is done with exceptionally low latency. “We always have guest vocalists and, given that this is a rap show, all have different microphone techniques. Having my favourite plug-ins on hand makes quick changes very easy,” he says. “Drummer and MD Ricci Riccardi also uses three completely different sounding snares, so I use the plug-ins to maintain a consistent level. This is really handy if I’m dealing with something else when he’s playing one he only uses once or twice during the show. With 46 line inputs and outputs covering left, right, left/right aux subs, infills and left/right outfills, the CL5 system also featured a pair of Rio3224-D i/o units. Monitor engineer Geri Colclough was also using a Yamaha console, this time a PM5D-RH. “When I received the SoundGrid server and the two WSG-Y16 cards I needed, I just jumped straight in,” says Neal. “I upgraded the CL5 firmware and was up and running in about 20 minutes. It was very easy.